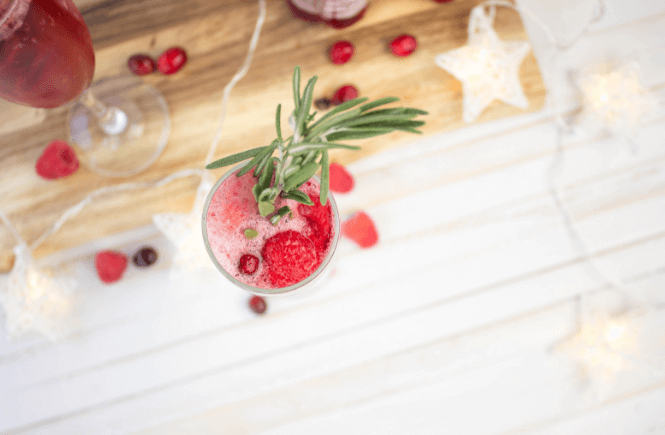 Holiday Mocktail Bellini‘s are made with a fresh cranberry-raspberry syrup, Sparkling ICE Black Raspberry and garnished with raspberry, cranberries and a sprig of rosemary for a really simple and fun festive drink for kids and adults. The holiday season has officially arrived. Holiday menu planning has begun, Christmas shopping is underway and our weekends are filling in with holiday gatherings quickly. 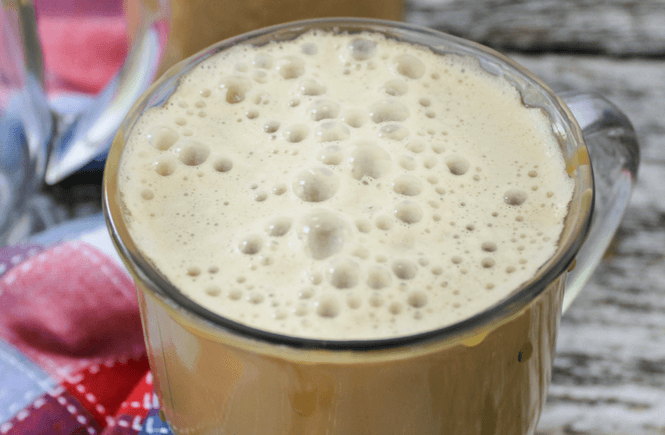 A holiday drink for all ages is a must so I created this Holiday Mocktail Bellini that is both tasty and beautiful. A classic Bellini consists of a peach puree topped with sparkling wine and raspberry juice served in a campaign flute. 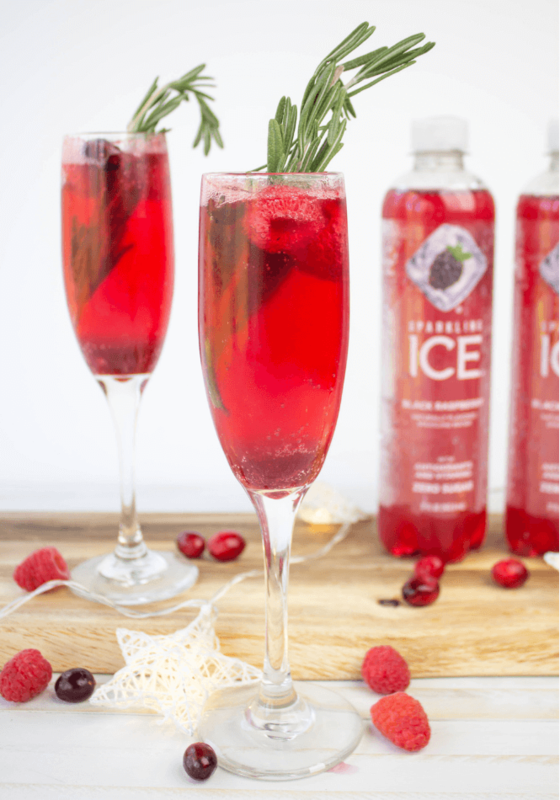 This drink is a great twist on the classic using a cranberry-raspberry syrup and Sparkling ICE Black Raspberry. Still served in a champagne flute for a touch of class. Pllus the kids always think they are super fancy drinking from the adult glasses. 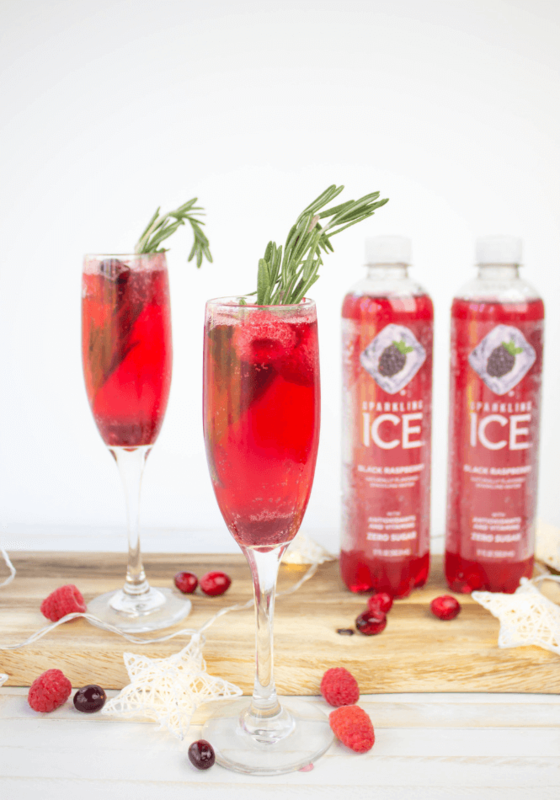 Why Sparkling ICE for the Holiday Mocktail Bellini? 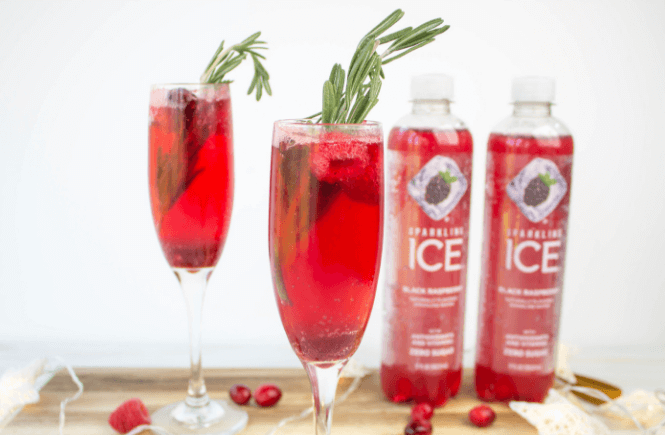 A Bellini typically has sparkling wine as the main ingredient but since we are making mocktails today, the fizz from Sparkling ICE is the perfect swap and adds more flavor into the drink. 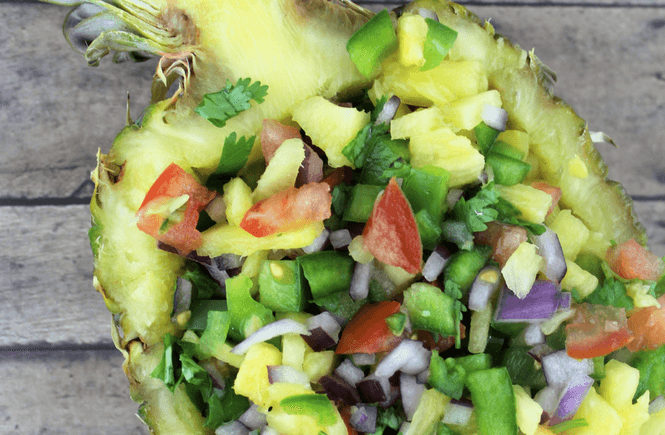 Sparkling ICE is also packed with vitamins and antioxidants with zero sugar, zero calories and naturally sourced colors and flavors because good taste should feel good too. That’s what I like to call a WIN-WIN. Find all 16 flavors of Sparkling ICE on Amazon! Save up to 15% plus get free delivery with Subscribe & Save as a Prime member. Time to mix some mocktails! 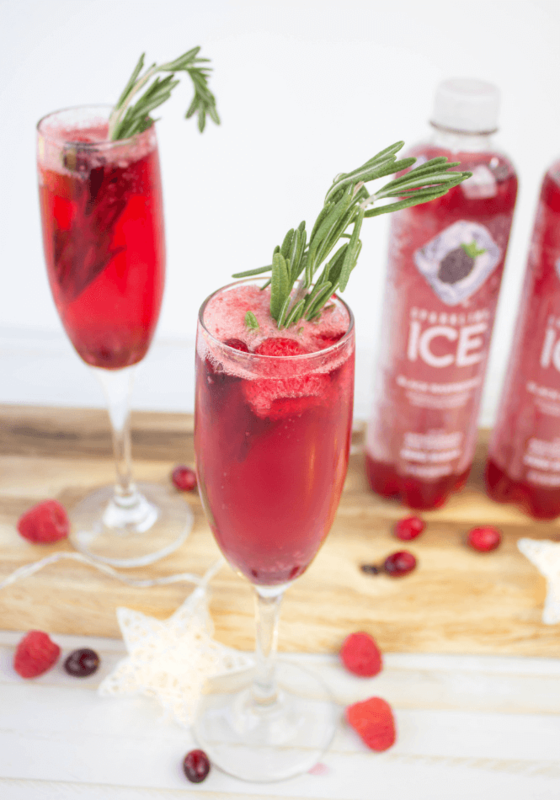 Holiday Mocktail Bellini's are made with a fresh cranberry-raspberry syrup, Sparkling ICE Black Raspberry and garnished with raspberry, cranberries and a sprig of rosemary for a really simple and fun festive drink for kids and adults. On the stovetop, make the cranberry-raspberry syrup by adding all the syrup ingredients into a pan on a medium heat. Cool the sauce and strain through a fine mesh sieve. Make the mocktails. Add a teaspoon of the cranberry-raspberry syrup to the bottom of a champagne flute. Fill with Sparkling ICE Black Raspberry. Garnish with a rosemary sprig, and a few raspberries and cranberries. 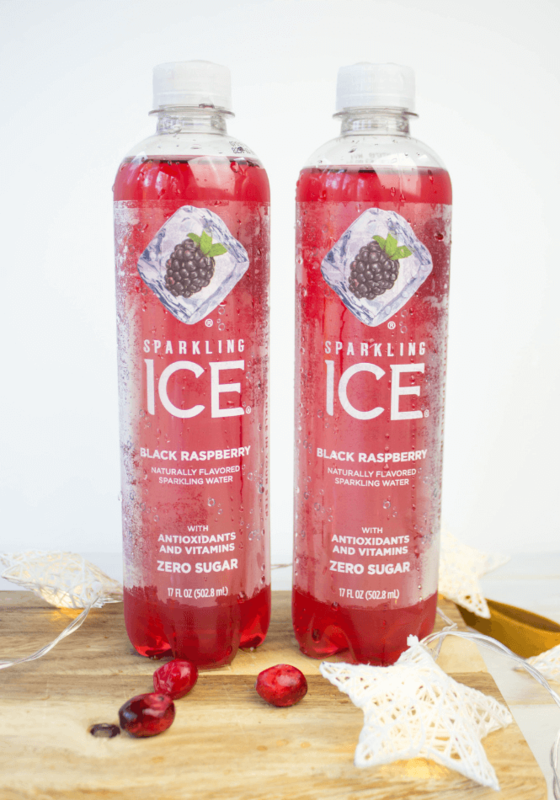 How do you enjoy Sparkling ICE? Let me know in the comments below and tell me about your holiday plans. 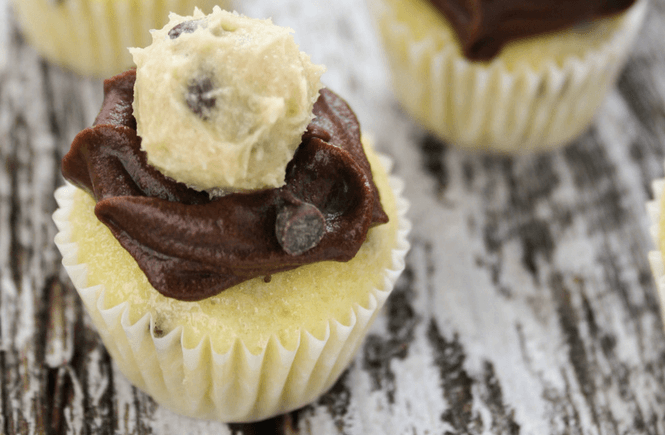 These looks so festive and delicious! 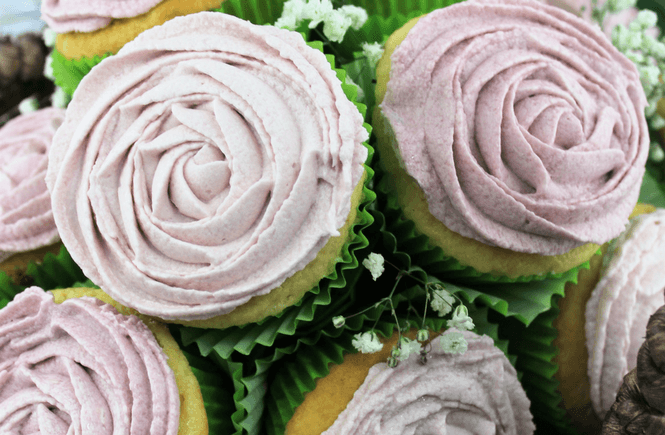 My girls love to cheers, so these would be perfect! Its fun with the kids to drink out of champagne glasses. Makes it special for them. 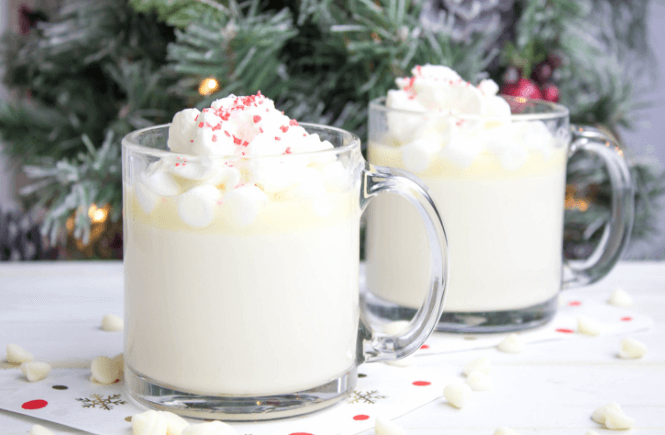 What a great drink for this time of year! 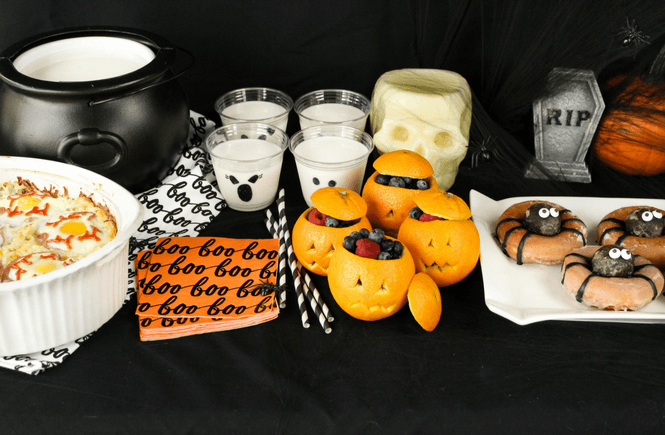 These are so festive and look fabulous!